Or, get it for 11600 Kobo Super Points! Vermeer's Wager stands at the intersection of art history and criticism, philosophy and museology. Using a familiar and celebrated painting by Johannes Vermeer as a case study, Ivan Gaskell explores what it might mean to know and use a work of art. He argues that art history as generally practiced, while successfully asserting certain claims to knowledge, fails to take into account aspects of the unique character of works of art. Our relationship to art is mediated, not only through reproduction – particularly photography – but also through displays in museums. 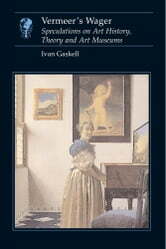 In an analysis that ranges from seventeenth-century Holland, through mid-nineteenth-century France, to artists' and curators' practice today, Gaskell draws on his experience of Dutch art history, philosophy and contemporary art criticism. Anyone with an interest in Vermeer and the afterlife of his art will value this book, as will all who think seriously about the role of photography in perception and the core purposes of art museums.